Home / Teens / Calling All Young Writers! DBRL is hosting three different programs at the Callaway County Public Library and Columbia Public Library to help you prepare for National Novel Writing Month (NaNoWriMo) in November. 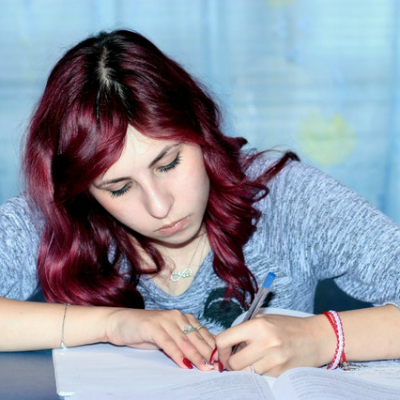 These events provide great opportunities for teens to get their words into the world, connect with other local authors and hone their craft. Saturday, October 13, 9:30 a.m. – 12 p.m.
Get ready to write a novel in 30 days with a group of other writers stepping up to the National Novel Writing Month challenge. We’ll talk about the process and enjoy light refreshments. Open to all, from the curious beginner to seasoned writers. Co-sponsored by NaNoWriMo of Missouri and Well Read Books. No registration required. Thursday, October 25, 7-8 p.m. In November, writers challenge themselves to craft a novel in just 30 days. Learn how to sign up, sketch out a plan before you start and get tips on writing your first draft. Find out about “write-ins” in the area and meet other creative people. Co-sponsored by the Columbia NaNoWriMo group. Refreshments served. Visit www.nanowrimo.org to sign up or learn more. Adults and teens. No registration required. Friday, November 9, 6-9 p.m. The library is hosting a special after-hours work session in the third floor reading room. You’ll be among fellow NaNoWriMo participants and have a chance to get lots of writing done. Co-sponsored by the Columbia NaNoWriMo group. Pizza provided. Adults and teens. No registration required. Not able to attend these programs? No worries. The library can still help you out with some of our great resources!